DUBAI, Jan 25: Captain Paras Khadka’s hundred, the first ever by a Nepal batsman in ODIs, gave his side their maiden ODI series win as they triumphed over UAE by four wickets. A historic, come-from-behind series win had looked unlikely as UAE racked up 254/6, the highest total of the series, batting first, especially for a side who had been bowled out for 113 in the first ODI between the sides. UAE’s total was especially impressive considering they had slipped to 47/4 early in the piece, with a wicket each for Sompal Kami, Karan KC, Sandeep Lamichhane, and Khadka limiting their early progress. A doughty 45 from CP Rizwan helped repair the damage, but still, as they found themselves 122/4 after 38 overs, it seemed they might struggle to make 200. That they breached 250 was down to a remarkable late surge courtesy of Shaiman Anwar (87 off 70) and Mohammad Boota, who finished with 59* off 21. Mohammad Naveed struck his first two balls for six and four to apply the afterburners, and Nepal were left a little shell-shocked at the break having conceded 55 runs from the last three overs of the innings. They quickly shook off any cobwebs, recovering from the early loss of Binod Bhandari for 9 to whittle down their target in a series of semi-substantial partnerships. 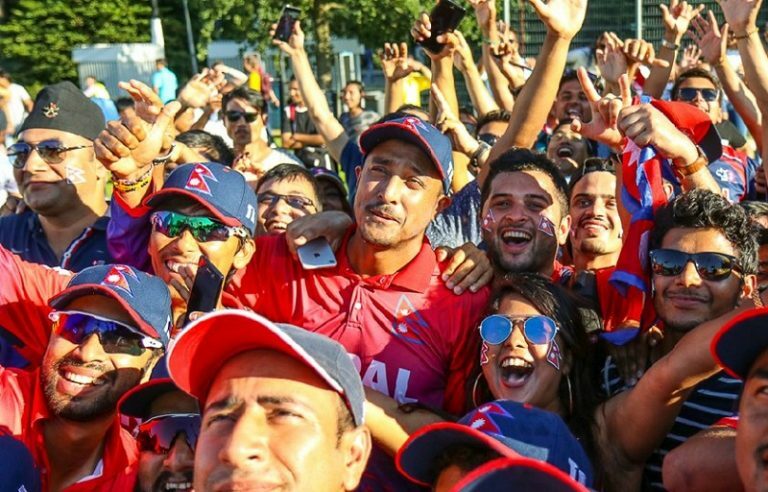 Though after Khadka’s hundred the next highest score was a mere 31, there was enough support to ensure that Nepal stayed ahead of the game, while the wickets lost kept the match interesting. Khadka was undoubtedly the star of the show, leading from the front as he has so often done for his country. His 115, coming at better than a run a ball, was a masterful knock, considering the pressure of a large chase and a must-win game. By the time he was dismissed, Nepal needed 40 runs in 10.1 overs, and only an almighty collapse could see them lose.